Moreover, the tele-imaging technology has gone through substantial technological advancements. This technology enables healthcare professionals to perform and interpret medical images, as well as share videos and images via the Internet, using an IP camera and remote access software. This allows real-time teleradiology expertise, in the presence of a junior sonographer or radiologist at the patient center. This helps the reduction of inpatient care and increase the efficiency in handling the shortage of the physician’s workforce. Furthermore, the introduction of fully automated, versatile, and easy-to-use digital X-ray systems has resulted to a major expansion of teleradiology and tele-imaging in remote areas, which consequently is expected to dominate the market in the coming years. The reduction in reimbursements for film-based X-rays and computed radiography (CR) propel the market growth for digital X-ray systems. This is a manifestation to convert from traditional film-based X-ray imaging to digital X-ray systems. To gain cost advantages, vendors are seeking to adopt digital X-ray systems. Technological advancements re-enforce a more positive connotation of the radiographic systems. For instance, advances in radiographic systems in routine examinations (chest, neck/spine, and limbs), specialty services (dental and mammography), and emergency services (ICU, neonatal ICU, and hospital wards) have resulted in the development of new radiation sources and technologies by using neutrons and X-rays. Such advancements in the diagnostic imaging, particularly in computed tomography (CT), have resulted in the rapid growth in performance of X-ray examinations. Additionally, the demand for imaging procedure is high among females as compared to males, due to the increasing number of breast cancer cases. The shift from conventional film-based radiography to digital X-rays has proceeded to the augmentation of many applications and radiation-based imaging techniques. Now, images can be stored digitally, which can then be enhanced to achieve optimum results. The efficiency and imaging quality of X-ray machines have also been increased by the introduction of flat panel CR. To add, reducing the radiation dose and using high-sensitivity plates enhances the sharpness and resolution of the images. New products featuring technological advancements enable vendors to generate substantial revenue and thereby boost market growth. The high cost associated with the installation for medical imaging systems and FDA’s stringent regulations may restrain the market growth. 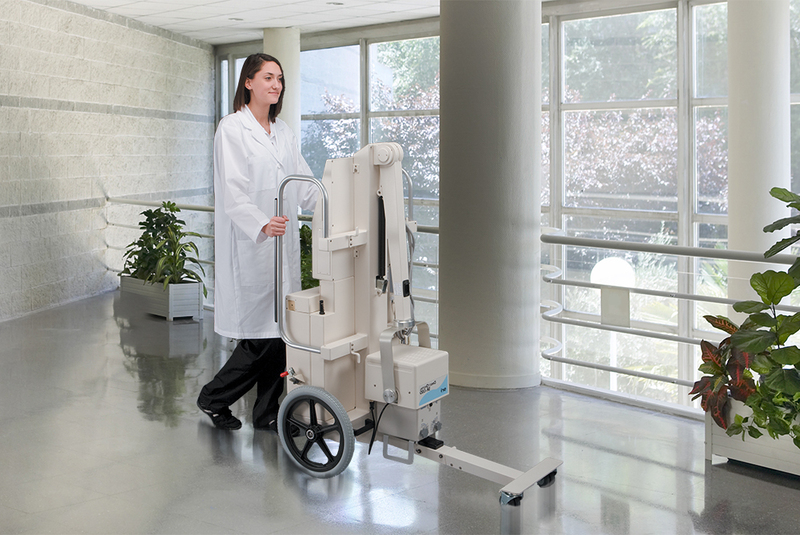 Portable X-ray machines are gaining popularity for they are lightweight, easy-to-carry and use. Portable digital X-ray systems don’t require the technician to develop the X-ray or physically transport it from one location to another since diagnostic images can be digitally transmitted from anywhere in the hospital. Thus, saving valuable treatment time and resources. Moreover, this type of X-ray system also uses lower radiation doses, that is why they are increasingly being used in emerging applications in veterinary and medical sciences, defense, customs screening, and security checks. Portable digital X-ray systems show great potential. The current adoption rate is around 15%. Hence, there’s an 85% possibility that customers may switch from portable analog X-ray systems to portable digital X-ray systems in the near future. An Interventional Radiology is a minimally invasive, image-guided procedure that is performed with tiny instruments that enter the body through a small skin nick or small incision. Once inside the body, the doctor sees and guides the instruments using imaging systems like X-rays and Ultrasound. After the procedure, the incision is covered with a small bandage. In 2015, the stationary digital X-ray systems segment dominated the market and accounted for close to 63% of the market shares. This technology is used for capturing medical imaging, primarily in hospitals and large diagnostic centers, that have been used for decades in developed and emerging markets. Furthermore, with the rising prevalence of diseases, increasing hospitals, diagnostic centers, and research facilities are expected to raise the demand for stationary digital X-ray systems. With the rising demand for digital X-ray systems, companies mainly focus on new product launch, research and development activities, acquisition and collaborations strategy to drive volume growth, revenue growth, and profitability. 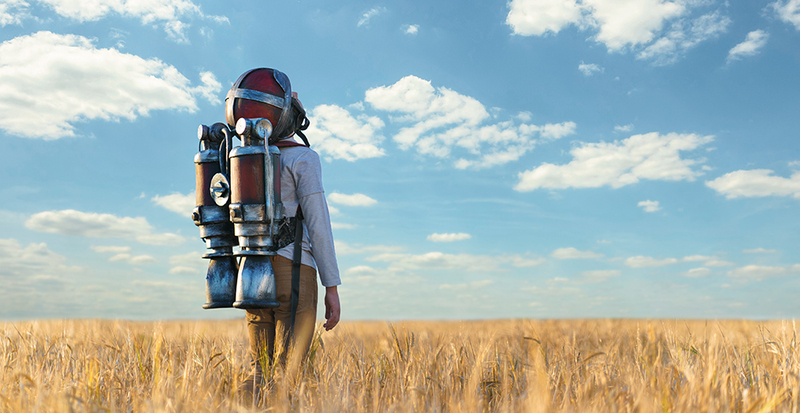 New product launchings help vendors to introduce innovative solutions and stay ahead in the competition. Source-Ray is a leading developer, manufacturer and supplier of innovative diagnostic medical imaging equipment for a wide variety of companies including urgent care. Source-Ray’s digital systems are designed for fast, easy radiographic image acquisition, and for uncomplicated transmission and storage of the digital image. We also supply integrated diagnostic x-ray source assemblies to Original Equipment Manufacturers for Medical, Analytical and Industrial markets. According to Technavio, the largest revenue contributor to the global digital X-ray systems market is America. One of the leading factors to the augmented adoption of digital X-ray systems is the rising burden of diseases and other medical conditions, such as injuries and accidents. The said medical conditions require extensive applications such as interventional X-ray, mammography, and general radiography. 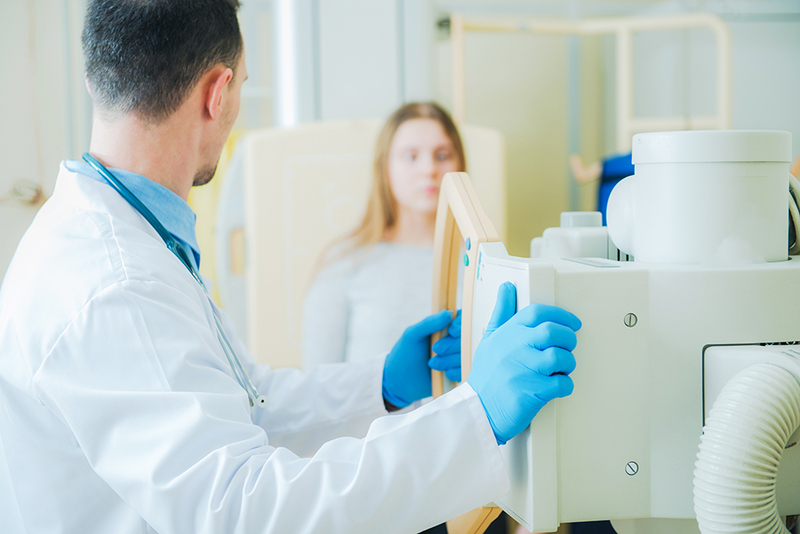 On top of that, the demand for digital X-ray systems in the Americas has increased, due to the rise in awareness for the diagnosis of chronic conditions, such as breast cancer.